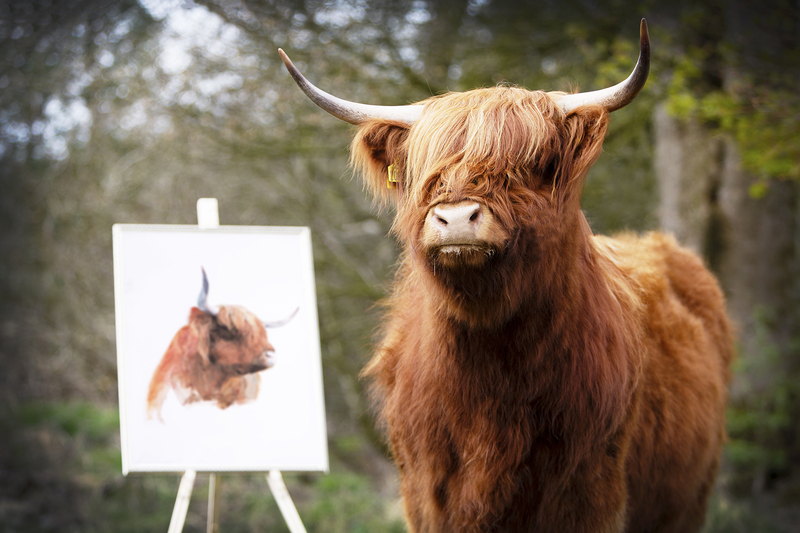 The date of the 179th Royal Highland Show draws ever closer with the unveiling of a series of stunning artist impressions of rural life, Show scenes and one of Scotland’s most distinctive native breeds, the Highland. Taking place from the 20th – 23rd June 2019 at the Royal Highland Centre, Ingliston, Edinburgh, the four-day iconic celebration of the Country’s best in farming, food and rural life. This year the face of the show is Skye of Little Rannoch, the Highland Cow from Cocklaw Mains Farm near Kelty in Fife, last year’s Highland Champion. Created by Scotland-based artist Wil Freeborn, the series of paintings and drawings will appear across the length and breadth of Scotland from April across billboards, buses, trams, social channels and TV. Anticipating another spectacular event RHASS Chief Executive, Alan Laidlaw, said: “The Royal Highland Show is an unrivalled showcase of the best that the Scottish countryside has to offer, from artisanal food and drink to the very latest in agricultural technology – it has it all. For further information please visit www.royalhighlandshow.org.